Unique CharactersticsGreat Plant Picks: Vaccinium ovatum is one of the most versatile and underused native plants of the Pacific Northwest. It provides a regional feel to our gardens and helps define the Northwest landscape. Typically thought of as a woodland plant, it performs equally well in full sun. 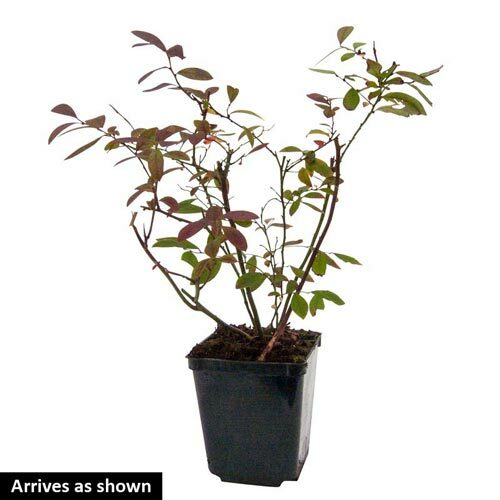 In spring its small, leathery leaves have tones of copper and bronze, and they mature to shiny dark green. Small, urn-shaped white flowers hang under the foliage in spring, transforming to succulent blue-black berries by late summer. These make delicious jam or jelly. 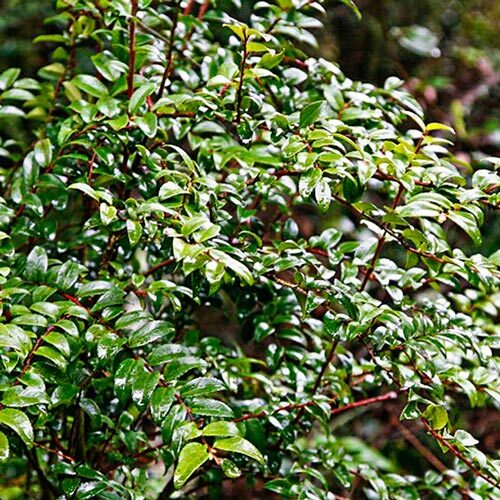 The small leaves of this shrub create a fine texture, but its slightly irregular growth habit keeps it interesting. It contrasts well with plants with larger leaves, such as rhododendrons. 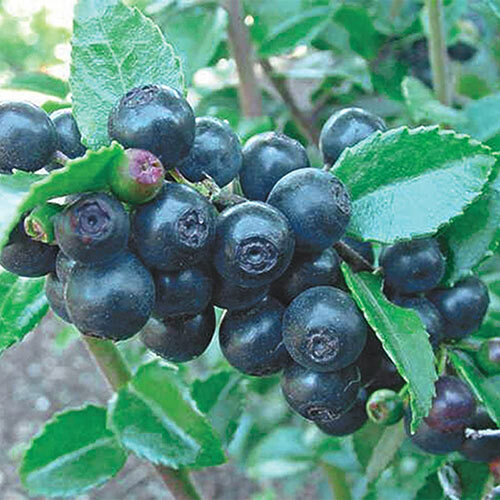 Use evergreen huckleberry in informal groupings or as a natural low screen. Surprisingly it will also shear into a dense formal hedge.